Atlas Spinal Care is a mission-driven office, practicing gentle, proven, highly effective NUCCA care. 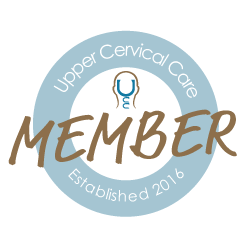 NUCCA is an Upper Cervical Chiropractic method of spinal correction that focuses on restoring the body to its naturally balanced state. Dr. Ralph R. Gregory began developing the NUCCA procedure nearly 70 years ago. Currently, it is recognized as the most sophisticated and highly effective method of spinal analysis and correction that is available. 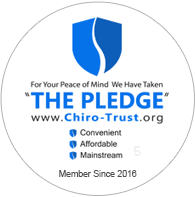 Always Put the Patient’s Needs First: We are committed to always listening to your needs and goals. Focus: We don’t try to be all things to all people. We do only what we do best, so we can focus on caring for our patients, and getting them well. If we cannot help you, we will tell you. If we don’t feel that our procedure will help get you well in a reasonable amount of time, we will tell you and help you find someone who can. No extra-procedures: We will provide only the care and services that are necessary to get our patients well. No HMOs: The managed care system, in its current state, hinders the delivery of optimal health care. We will not let a profit-driven company get in the way of your health care. Fair and Reasonable Fees: We believe access to health care is very important. We make our fees affordable for just about anyone. A Team Approach: Each of us are genuinely concerned for you and your satisfaction with your care. In fact, at Atlas Spinal Care, we consider you a member of your health care team. Gratitude: We are grateful for each person that we care for, and we are grateful for your family and friends that you refer to us for care. There is no greater compliment than for our patients to entrust us with the care of their loved ones. As the Upper Cervical Assistant at Atlas Spinal Care, Kristin makes sure the office runs smoothly.